Pre Order Zenbo Junior - What is it? It's Zenbo, the Asus robot. This may come as a shocker to a great number of you out there. We’ve been getting a steady stream of email and messages asking the same thing. 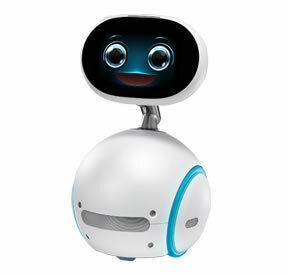 Where can I buy Zenbo? Well today, we actually have an answer! If you can handle the price, you will need to act quickly. This is an incredibly rare opportunity. Before you get too excited, you must realize this isn’t an official product release into the US market. This Zenbo won’t connect with services in the US. More than that though, how much are you willing to spend? The price is bloated, no question about that. There is now three available to buy. Given the pent up demand and enthusiasm for Zenbo, it’s likely that a few people out there are willing to pay the price of $2,300 (as of March 25) or “best offer”. We see that one has been sold already. If you do buy this Zenbo, be assured you will be one of the only people in North America to own one. This is the first time we’ve seen one for sale in the US market and hopefully this is a start. 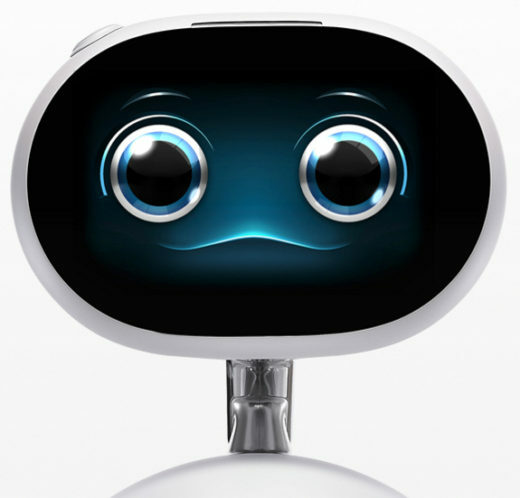 We hear a lot of frustration from people because Zenbo hasn’t been made available and that is completely understandable. We launched this site a long time ago with a lot of hope and excitement but the launch or lack of a launch has tested our patience. Let us know your thoughts on the price in the comment section below! 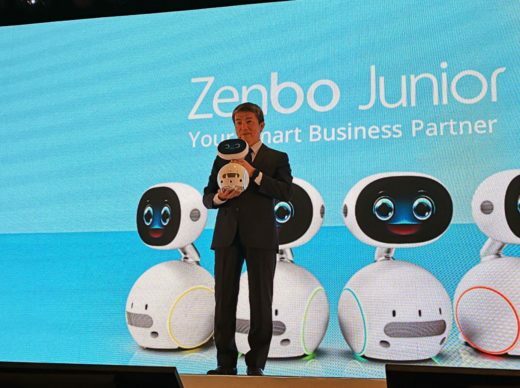 Information that we’ve come across indicates that the upcoming Zenbo Junior will be sporting Android 6.0 Marshmallow. Yes, this is a version of Android from 2015, but most likely ASUS will update as the robot is released. 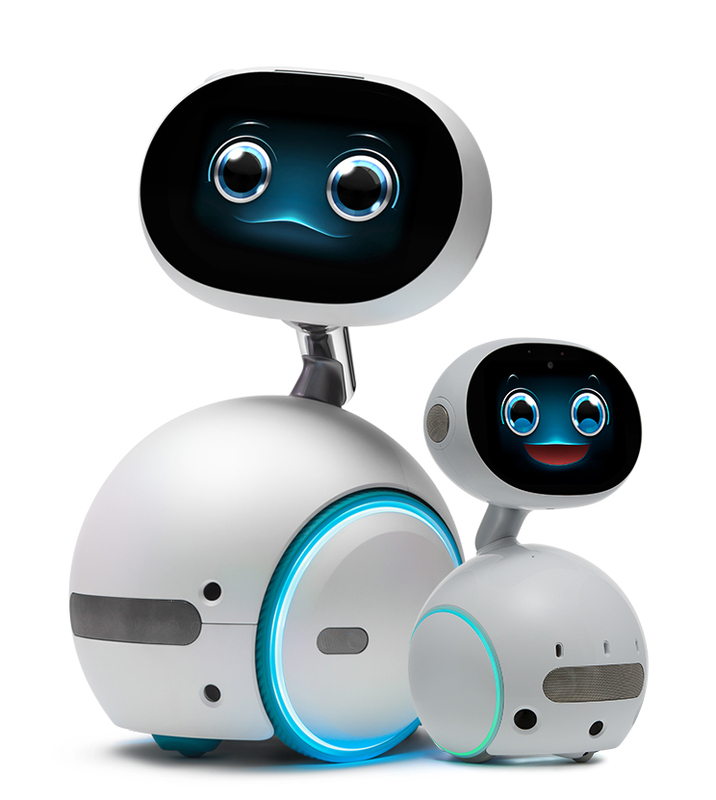 Having said that, having the latest and greatest OS inside Zenbo won’t be as important as having the software dialed into the robot functionality. No question most tech enthusiast may shudder at the thought of not getting the latest and greatest Android version, but this is a robot and not a smartphone. Let’s just alter our mindset a bit? 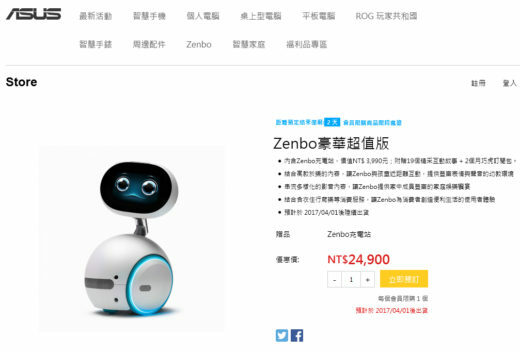 Rumors only started recently regarding Zenbo Junior. In a sense, this could be thought of a Zenbo 2. There has only been one mention outside of this information we’ve found and it’s the first actual published verification of the product. 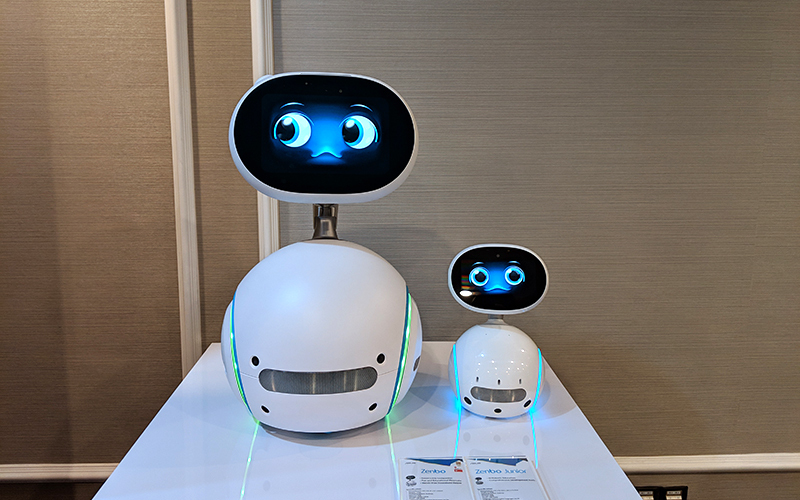 If you’re upset about the wait for Zenbo and the fact ASUS claimed it would be coming to the US months and months ago, it looks now like Zenbo Junior will be showing up at some point and not the original. Who knows why, but a large robot means bigger costs and bigger prices. Profit plays a role in these types of decisions and we certainly don’t see a situation where Zenbo and Zenbo Junior are available together. Our guess is that the original Zenbo is done, and things are moving forward with Zenbo Junior. This is speculation on our part of course. This is big news. With an extremely model release in Taiwan, Asus is moving out of the cautious phase and into a true pre order phase. The listed ship date is expected to be April 1, 2017. What we can see (via translation) is that the personal customer care phase is over, so normal product support is in place. Certainly this indicates that the first phase of limited units shipped along with personal customer support was a success. This means that a wider release of Zenbo is one step closer for everyone else. More details to follow! Richard Lai (Engadget):When can we expect this to hit the market? Jonney Shih (Asus): Christmas. I hope, you know, we can really deliver it to every household. That is our dream. When Richard Lai from Engadget asked the question about when we can expect Zenbo to hit the market, Shih explained that most of the functionality is “almost there already”. If you ask my opinion, I would say Shih is very confident about getting this into retail for the Christmas 2016 shopping season. It may be lofty, but Asus does have the resources and capabilities to pull it off. 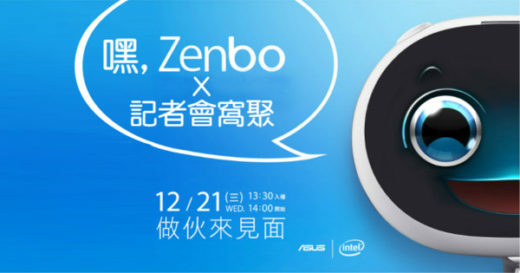 Certainly what Asus showed off at Computex was well polished and they were confident enough that they were ready to show off Zenbo. Ultimately the presentation and unveiling went off without a technical hitch. Things seem very promising indeed. Stay tuned, this story is developing!